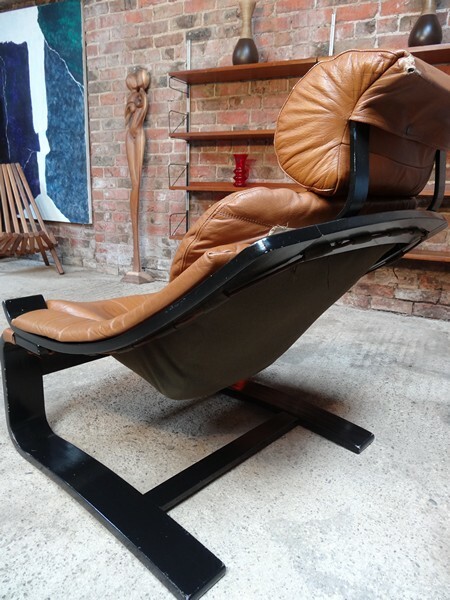 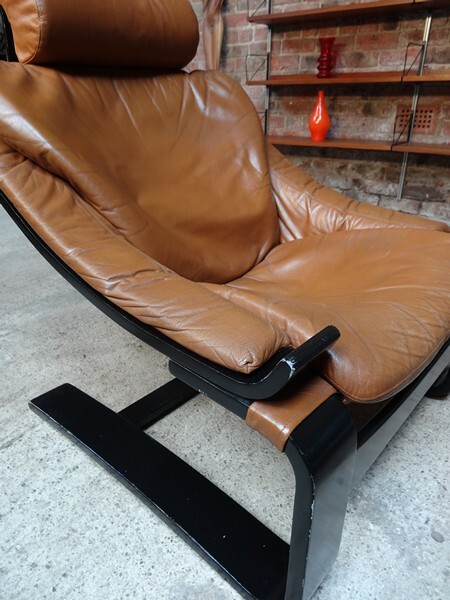 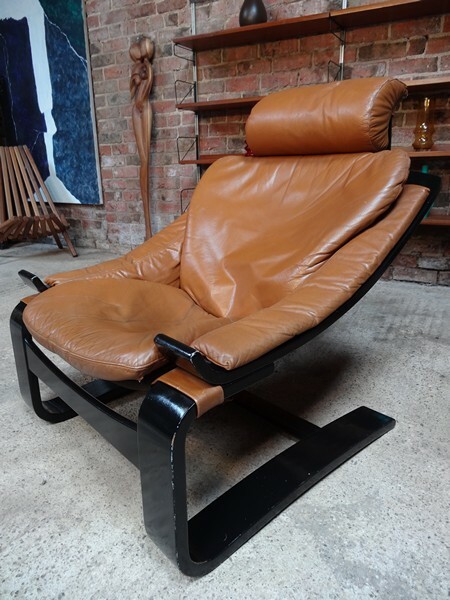 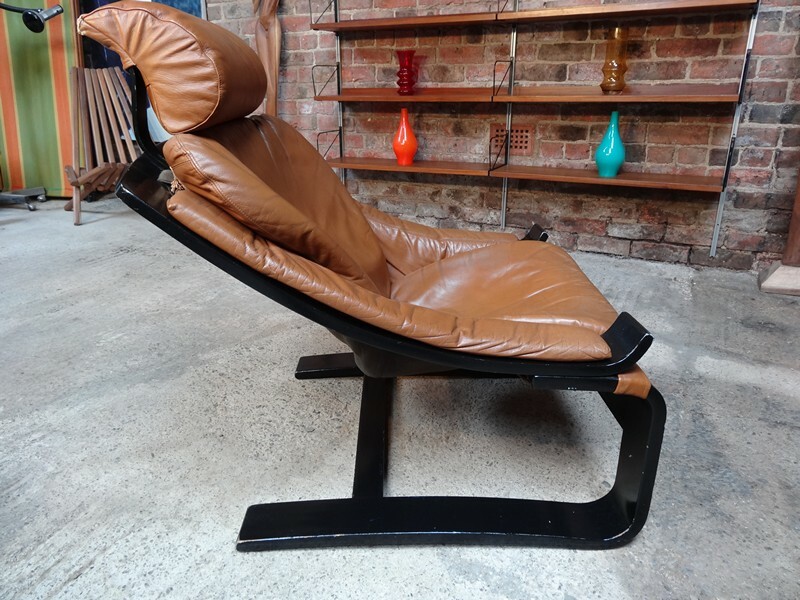 Stunning 1960's arm chair covered in a brown leather and has a very comfortable sling seat, designed by Fribytter and produced in Sweden by Nelo Mobel. 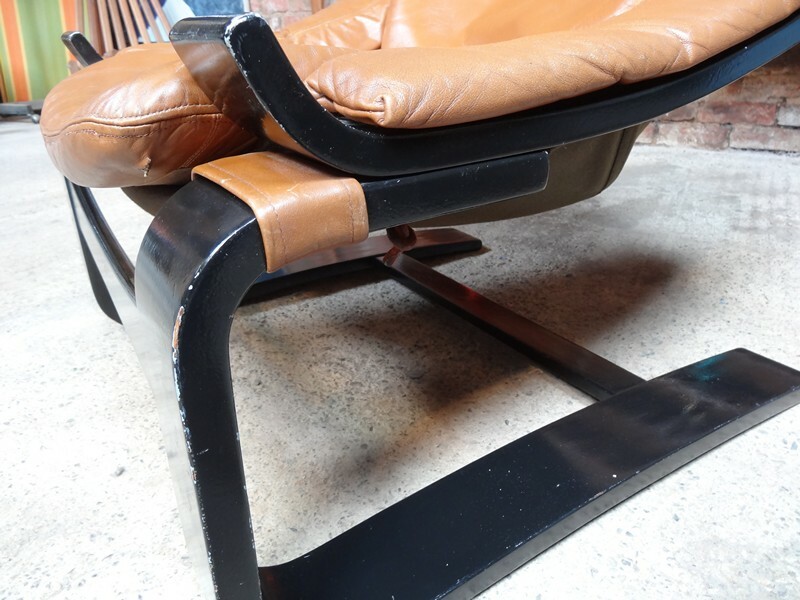 Leather has a lovely patina and is in very good condition. 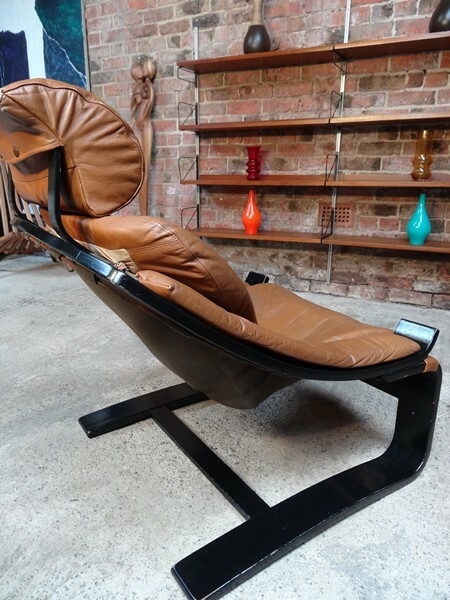 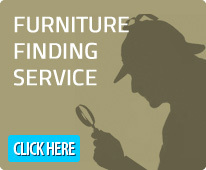 Currently we have 2 similar chairs available.